The Spiderman Magazine is one of the world’s famous magazines. Not much is to be said about the popularity and fan following this magazine enjoys. There are many comics that have been written about the life and scope of existence of a young man named Peter Parker but this particular series of the Spiderman franchise is refreshingly different. The Spiderman Magazine is issued from U.K. The magazines dedicated to Spiderman are published in a series, recounting a complete story. Once the story is done, there are no more issues that are published on that particular series. The same is true for this periodical-Spiderman Magazine (Was- Spectacular Spiderman). It had 17 issues in all. 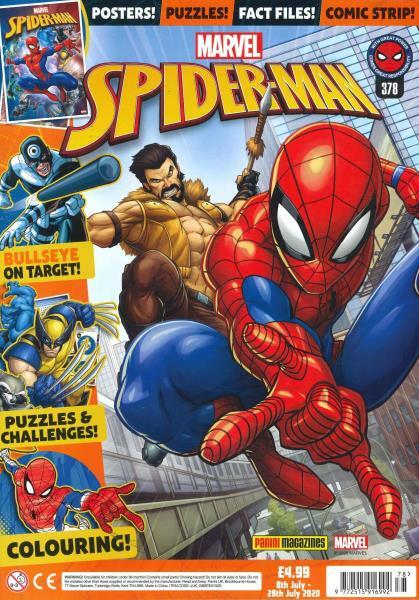 This particular series of Spiderman aimed at specific range of age groups-from six to twelve, with the core age hovering around seven or eight years of age. The Spiderman Magazine (Was-Spectacular Spiderman) was a different story of the Spiderman right from the very beginning. It was a work of discretion, and not a mere adaptation of the several comics devoted to this super-hero. Brought this for my grandson and he loved it! Top stuff!